Worlds Away is where can you find the best wholesale furniture or lighting around. Perfect for the bedroom, den, or front room, Worlds Away features a collection of wholesale table lamps that just can’t be found anywhere else. So the question you need to be asking is why are you shopping anywhere else for lighting or any other fine furnishings for your business? With over 1,200 SKUs in stock including lighting, seating, dorm furniture, cabinets, chests, dressers, console and occasional tables, wall art and decorative objects, and so much more, Worlds Away needs to become your go-to furniture supplier when it comes to upscale modern and contemporary decor. If you’re after the seductive rounded lines of the Hollywood Regency style or the smart retro chic of Mid Century modern designs, then we’re just the website for you. 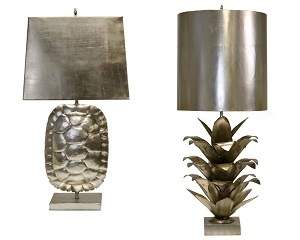 We have a wide selection of wholesale table lamps in these popular and luxurious styles. Crafted from premium materials such as lacquer, iron, brass, ceramic, and marble, sometimes finished in gold and silver leaf for a subtle shimmer, or tiered for architectural interest, and available in an assortment of vivid colors that complement a variety of interior design schemes, these wholesale table lamps are perfect in modern and upscale lobbies, lounges, and suites. Moreover, these lamps come with beautiful shades crafted from quality materials like painted tole, silk, metal and white linen. These shades create a soft glow that fills the room with a light that is soothing and perfect for winding down after a busy day. They will create just the kind of atmosphere and ambiance needed in your hotel, restaurant, and bar. So if you want to update and modernize the lighting displays in your business, then you should check out Worlds-Away.com, or if you’re in the Memphis area, then come visit us at our showroom. We are available to assist you with any and every lighting need, even if what you want is something designed just for your business. That’s because our custom design division specializes in creating lightning and metal furnishings, so we can certainly build whatever you have in mind. What’s more, we will work with you during the entire design process, making necessary adjustments in construction, fabrics, materials, and finishes to meet the demands of you and your budget. So stop fantasizing about the perfect lighting design for your business, contact us and we will get to work making it for you. At Worlds Away, we strive to make everything convenient from shopping to shipping, and we ship worldwide. This means that no matter where your business is located, we can deliver our finest furnishings there fast and without the fuss. Whatever you need for your interior design and decor from wholesale table lamps to fine furnishings, we’re here to help. 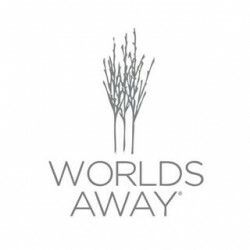 So contact us at 901-529-0844 or email us at sales@Worlds-Away.com if you have questions about any of our services including our custom designs, inventory or shipping. So don’t wait, start browsing the incredible selection on our website now. If you’re a restauranteur, bar owner or hotelier looking to update your business with chic, contemporary, and beautiful furnishings, you simply have to visit our website at Worlds-Away.com. Local Memphis businesses can visit our area showroom to see our collections. We have the designs that you are looking for. That’s because we know just what’s required in the industry. We understand that your guests need a place to gather to lounge, chat, and savor coffee or cocktails. It has to be stylish and it has to be inviting. That starts with furniture and that means you’re going to need a few coffee tables, among other furnishings. Wholesale is definitely the most convenient and inexpensive way to fill a business with furniture, yet sometimes the designs available aren’t the best, and you have to compromise on style. We can assure you, that’s never the case at Worlds Away. You see, Worlds Away is a thoroughly different kind of furniture wholesaler. We’re just obsessed with perfection in design, and with us, you’ll find the most stylish large coffee tables for sale anywhere. Worlds Away features a wide selection of large coffee tables for sale in an array of styles from Mid Century Modern to Hollywood Regency. Our incredible selection of interior and home decor includes rounded, rectangular, square, and tiered coffee tables that will complement modern, contemporary, and traditional interiors. They are available in a variety of finishes - antiqued, hammered gold and silver leaf, lacquered, and painted bronze, and come in a lot of materials- brass, wood, acrylic, stainless steel, and black and white resin. The designs are varied too, some are scalloped, while others are designed to nest, some coffee tables feature white marble or beveled glass tops, but all are stylish, chic, and on trend. When you shop at Worlds Away, you’re certain to find large coffee tables for sale and other fine furniture that you’ll love. Yet we can be of assistance to those who are looking for custom designs made specifically for their interiors. We specialize in metal furniture and lighting and we can create just about anything you need. We will work with you through the entire process, from concept to completion, to create the design you have in mind. Even if you’re on a budget, we can make adjustments in materials, construction, and finishes to meet your needs. Whether we’re designing something specifically for your interiors, or you’re ordering from our website, you can be confident knowing that our shipping process is fast, secure, and convenient. What’s more, we ship worldwide, so no matter where you’re located, you can have the fine furnishings from Worlds Away delivered quickly and without any fuss or stress. So if you’re looking for beautiful and stylish large coffee tables for sale for your business or living space, then come visit our website. If you have any questions, contact us at 901-529-0844 or email us at sales@Worlds-Away.com. We simply can’t wait to assist you by providing you with the most luxurious, classic and modern decor and designs for your interiors. So what are you waiting for? Come visit us online today. Where do industry insiders go for the finest in furnishings for the wholesale market? Why do industry insiders seek us out time and again? Because there isn’t a furniture wholesaler around that does better work than Worlds Away. We are committed to quality, and we specialize in crafting the most premium pieces for modern interiors. Worlds Away has an incredible selection that has furnished some of the most upscale lobbies and lounges. Why should you shop at Worlds Away? Because you are obsessed, just like we are. You want to create the kind of space that is inviting, that draws guests in and keeps them coming back. Maybe you are just about finished decorating and you need a few totally unique pieces that make a statement, or you are just starting out and you need some ideas. Maybe you are just looking to buy console tables online. Whatever it is you are trying to find, Worlds Away has got the globally inspired Hollywood Regency and Mid Century modern designs that you are looking for. Since 1992, we have been in the business of beautifying businesses everywhere. Do you need some assistance with creating the kind of impressive interiors that are found in the most high-end establishments around the world, or are you looking for something custom made? We are happy to help. Worlds Away can guide you through the entire process, making adjustments in fabric and materials until you are satisfied. We can create lighting and metal furniture to bring that modern look to hotel suites, bars, and restaurants. What’s more, we ship fast and we ship worldwide. What can you find at Worlds Away? It might be better to ask what can’t you find at Worlds Away because we stock just about everything. Whether it is trays and containers, or cabinets, chests, and dressers, we have it and so much more. 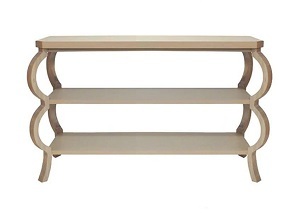 Need to buy console tables online? Then just try Worlds Away. We have a thoroughly modern and streamlined collection of classics constructed from premium materials including iron, stainless steel, glass, bronze, and more. Why not browse at Worlds-Away.com and get an idea? We’re certain that you will be impressed with our wide selection. Why aren’t you shopping at Worlds Away? We don’t know. You should be. If you want to furnish your business with the most beautiful upscale and sleek designs, if you want your guests to be impressed with your spacious, pleasing interiors, and if you want to create a look that brings them back again and again. If that is what you want, then Worlds Away is a must. That is because we are Worlds Away from the mundane. We are Worlds Away and we specialize in creating upscale, refined, and beautiful interiors. Just check out our website or contact us at 901-529-0844. We can’t wait to assist you in creating the most perfect spaces for your business. The most popular interior design style of the 21st century seems to be the Mid Century Modern. A perusal of premium interior design showrooms and websites indicates that many shoppers are after these stylish pieces. This seems somewhat contradictory until you consider just how ahead of its time Mid Century Modern design is. The look is known for its spare, sleek and understated pieces that manage to appear both retro and futuristic at the same time. Designers at the time were using experimental materials that had not typically been used in furniture making, such as resin, glass, metal, and vinyl. Mid Century Modern design, while eclectic and sophisticated, easily blends with a variety of furnishings in both contemporary and traditional spaces. In fact, many upscale hotels, restaurants, and bars use the Mid Century Modern design style exclusively. Mid Century Modern evokes the sophistication and elegance of the time period, and you will often find that the most popular cocktail bars and lounges, fine dining establishments, and luxury suites choose Worlds Away to provide the furnishings to decorate their interiors. The many items this online wholesale furnishings supplier stocks include decorative objects, tables, lighting, wall art, and more. 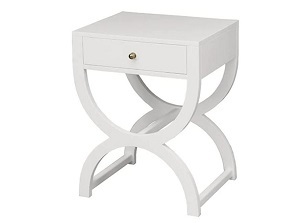 The modern white side table is among the most browsed and popular pieces at the Worlds Away website. This sleek piece is most preferred by hoteliers as it creates an instant update in their luxury lobbies and most chic rooms and suites. However, there is so much more available at Worlds Away beyond the modern white side table. Worlds Away started in the early 1990s as importers of global furnishings and quickly moved to design, then becoming involved in the wholesale side of the fine furnishings industry. As the name suggests, we truly are a global brand. Our international division takes care of shipping overseas, and since opening a European distribution center, we can now quick ship within 7-10 days throughout the region. Worlds Away is also able to fully customize your order too, catering to your budget and design needs to create just the right look for your business. Moreover, Worlds Away also has over 1200 items in stock and ready to ship. We are the place that many in the industry rely on when it comes to last minute orders, specialty, hard-to-find items, and so much more. Most importantly, because we keep track of the trends in the industry, our selection includes tons of Mid Century Modern pieces. From cabinets, to tables, to lighting, and seating, Worlds Away has all that and more. Those looking for anything from a few items to modernize their hotel, bar, or restaurant to a complete upgrade of their entire business should check out our website. 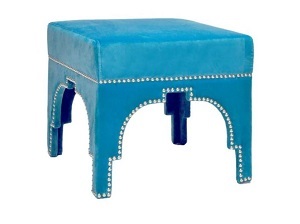 Of the wide array of furniture types available, the side table is probably the most versatile. It can be found in just about every room in the residence or business. In the bedroom, these tables provide a stylish place for table lamps and keep books and trinkets nearby. In the den or living room, they are perfect beside a plush couch or chair, and they keep snacks and remotes in easy reach. In corporate settings, the side table is a frequent accessory in upscale lobbies and entrances, and they are found bedside in luxury hotel suites. The well-crafted side table is chic, and it is so much more than just the simple squared styles on display in most department or chain stores. It is very often a statement piece, and it is as stylish as it is functional. Moreover, a side table of this kind of premium quality must be sought out because it is not available just anywhere. You really have to look around for it so that you can get that perfect look that works with your design style. So where do you find these unique small side tables for your bedroom? Our extensive collection of furniture includes a range of styles including the Mid-Century Modern, Hollywood Regency, and rustic industrial designs. These are the pieces that add refinement, subtlety, and luxury to every interior. At Worlds Away, we use only the finest materials to craft our furnishings. In our selection, you will find tables made from stainless steel, iron, and antique brass, and topped with glass or marble. We finish these unique small side tables in black, grey, or white lacquer or gold and silver leaf for that subtle luster that demands attention and gets a lot of compliments. Whether these side tables are rounded or rectangular, tiered or angled for added geometric interest, they are never anything but inviting and totally chic. More importantly, it really does not matter if the interior design scheme in your home is traditional or contemporary, eclectic or conservative, or even something in between, you will find the unique small side tables on our website that coordinate, contrast with, and complete every style. Just visit us at Worlds-Away.com to browse our collection of fine furnishings. If you do not find the unique small side tables that you are looking for, then you should consider having Worlds Away make something for you. Our custom design division will create a design to your specifications, making adjustments in construction, finishes, and materials to meet your style and budget. What’s more, we specialize in designing and manufacturing lighting and metal furniture at Worlds Away, so we can create the side table that is perfect for your interiors. You see, finding the perfect side table can really be that simple when you stop the searching and start shopping at Worlds Away. We make sure shipping is just as convenient, too. We deliver domestically and internationally, so you can have fine furnishings from Worlds Away shipped wherever you are worldwide. We think you should check out our selection. We have over 1,200 items available ranging from large furnishings such as cabinets, chests, buffets, and dressers, to smaller pieces including containers, hardware, decorative objects, and so much more. Just imagine how comfortable and chic your bedroom or den can be with a side table from Worlds Away. Well, stop thinking about it and start shopping the beautiful collection of fine furnishings for the home at Worlds-Away.com. Are you looking for something different when it comes to your home’s interior design scheme? There is no reason to be intimidated at the idea because this can be done without much hassle and fuss. You see, it is really quite simple to create an eclectic look in the home by making small adjustments in the furnishings. When you update even just a few pieces in a room, you can instantly modernize the space, provided that only premium, high-quality furniture is used. A Mid-Century modern or Hollywood Regency style cabinet or dresser placed in the dining room or bedroom adds instant chic. The only thing you have to know is where do you find these kinds of stylish and beautifully crafted dressers and chests for sale? Well, you could search for dressers and chests for sale in the chain furniture stores, but a far better, faster, and satisfying solution is to seek out the fine furnishings that are available at Worlds Away. When you shop with Worlds Away, you know that you are getting something totally unique because we design and craft every item in our selection. What’s more, we have been in the business for over 25 years, so we know the trends in interiors and we can assist when it comes to creating that upscale, globally inspired look for your home or business. Whether you need dressers and chests for sale or are looking for decorative objects and wall art, cabinets, buffets and side tables, metal lighting, bar stools and benches, hardware and more, Worlds Away features the varied selection and premium, high-quality furniture that you are looking for. Our timeless designs make the perfect style statement in every room. Just how do we make these classic and beautiful furnishings? Well, it starts with the fine materials we use to make every piece we design. Our preference is for oak, stainless steel, and iron. 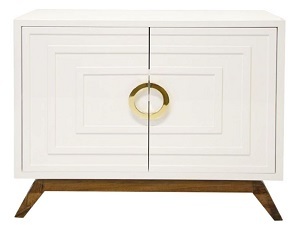 We occasionally finish our cabinets and chests with white, black or dark grey lacquer, and use antique brass hardware or acrylic ring pulls for added interest. Some of our favorite furnishings have that modish 60s feel. 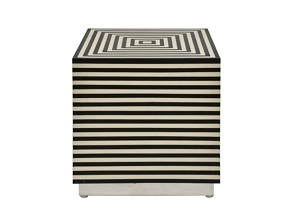 Crafted from durable resin, these black and white striped dressers create stunning contrasts that stand out in any room. What we are trying to say is that Worlds Away is ever fascinated with creating totally distinctive furnishings that just can’t be found anywhere else. We make it simple to fill your home with our furniture and accessories. The kind of unique designs that will make a sophisticated statement that will keep you comfortable and impress your guests. The kind of beautiful furnishings that never go out of style, the pieces that keep your home decor looking fashionable and modern. We are happy to keep describing just how gorgeous our furniture is, but you really need to check out our selection to understand. So why don’t you visit us online at Worlds-Away.com to search for dressers and chests for sale or to browse our collection of other high-end furnishings? At our website, you will find everything you are looking for and so much more. That is because we have over 1,200 SKUs in stock so you are certain to be satisfied with our selection. To find out more about the varied services provided by Worlds Away, including custom designs and international shipping, or to ask any questions, please contact us at 901-529-0844 or email us at sales@worlds-away.com. We can’t wait to help you create the chic and stylish look you want for your home. Worlds Away furniture is a special furniture retailer with each piece exclusively handcrafted and customizable to create unique living spaces and optimal comfort. All of our pieces are made to order and created with care using top materials such as silver leafing, Rosewood, and acrylic. We are known for our hand painted or mirrored pieces. Worlds Away is trade only retailer, which means we sell our one of a kind pieces directly from the designer to you. Based in Tennessee, our furniture is designed at our home office, but manufactured around the world. Our designs are timeless and crafted to be long lasting. Our goal is to have the same piece match your decor ten years later, no matter the trend. Using “Hollywood Regency” style, mix old and new to create a look that can be mixed and matched again and again featuring some of our hand leafed and nickel plated iron tables. We stand proud on our signature mirrored pieces. 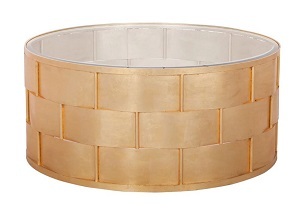 If you are looking for pieces that wow, whether it be for an office building, home, or a bulk order to furnish hotel rooms, our selection of round gold side tables are stylish and can seamlessly fit in to decorate any type of setting. They are timeless, chic, and plated with gold leaf, and come in 33 different styles and sizes, so the options are endless. Look for something dainty and light such as the Abigail G or Anderson G round gold side table, both which feature different styles of hex structure design made of gold to create a unique base and a glass top. These tables make the perfect touch as either decor in a hotel room, a conversation piece in an office building, or to bring some life to a funky retailer. Both the Abigail G and Anderson G come in both 48’’ and 54’’ so that you can chose the design and size that best matches your needs. A more intense collection that truly stands out for all to see is our Powell round gold side tables, which feature a gold leaf iron base. This table also features a glass top, and can be used as a coffee table in a living room. The Powell table comes in different shapes and sizes, ranging from 30’’ to 42’’ to help create any look you are going for. The FNPLAM is another round gold side table from Worlds Away that features an antique mirrored top with three legs that connect in the middle to create the feet of the table with a small gold circle in the center. This table is small enough to be a hidden gem in an office and is unique enough to embellish any room as an accent piece. At Worlds Away, we are exclusive furniture retailers. Create an account with us today for all information on pricing, creating and building, and trade shows. With a wide variety of hand-crafted moderate to high end furniture, we have the statement pieces to bring some style and class to any room. Browse our website at Worlds-Away.com and reach out today! Looking for the Finest Wholesale Furniture Manufacturers in the Business? After over 25 years in the business, Worlds Away is among the top wholesale furniture manufacturers in the United States. That is because we stock a large collection of the finest furnishings and decorative objects in the industry. Our specialty includes sleek, modern styles such as Hollywood Regency and Mid-Century modern. These are the furnishings and accessories that add that retro chic look to the most upscale bars, luxury suites, and the finest restaurants. Want to know where to find our furnishings? We design our unique pieces at our corporate headquarters in Memphis, Tennessee and then outsource manufacturing, which keeps our prices reasonable. When it comes to sales, our furnishings, fabrics, wall art, and more are sold and distributed through designers. Interested in something totally unique that just can’t be found anywhere else? We are wholesale furniture manufacturers but we can do custom orders, too, provided the order is somewhat small. We are ready to work with clients through every part of the design process, from concept to production samples, to the finished product. Even if there are budget concerns, Worlds Away can make adjustments to keep prices fairly low. What about just an update or an addition to an existing collection of furnishings or design? Well, Worlds Away can help with that too. We have in stock over 1200 items including lighting, seating, desks, coffee and dining tables, bar stools and benches, cabinets, and so much more. We are certain to have the right furniture and accessories to create a modern, yet classic display in hotel rooms, lounges, and more. From stainless steel to brass, hammered iron, and marble, we select only the most premium materials to craft our furnishings. Then, we use gold and silver leafing, colored lacquer, and painted bronze in the detailing to create some shimmer and glamour for the most luxurious style. Why shop Worlds Away for wholesale furnishings? We understand the complexities of the industry because we started out in importing. The collection of unique pieces we found around the world gave us a passion for global design style. We decided to use our importing know-how by moving into design and manufacturing. 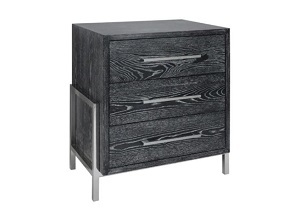 We were eager to explore so we created the sleek, reflective Cary dresser, which proved to be very popular. The design process intrigued us, so we just had to try more. As a result, we have created some of the most popular furnishings of the last two decades. And we are still working. That is because we remain deeply passionate about beautiful interiors. We still have so many ideas, and we just can’t wait to create them. Whether it is eclectic decorative objects or distinctive, modern furnishings with a global twist, Worlds Away is at the forefront when it comes to premium furniture design. Want to know more about us? Browse our selection at Worlds-Away.com, or visit us at some of the many trade shows that we attend worldwide. We are always happy and eager to provide you with the home furniture to furnish your living room, dining room, bedroom and more!